While the world anxiously awaits the results, we would like to give you a little background on this year’s nominees for Best Animated Feature Film and Best Animated Short Film. Particularly, where and how these lucky nominees developed the tremendous amount talent and skills it takes to make it all the way to the 91st Annual Academy Awards. Here you go. Brad Bird (Phillip Bradley Bird) graduated from California Institute of the Arts (CalArts) in Valencia, California with a Bachelor of Fine Arts (BFA) in Film & Video. Bird is best known for his work on The Incredibles (2004), Ratatouille (2007), Brave (2012), Monsters University (2013), and Inside Out (2015), to name a few. Other achievements include Pixar Brain Trust — 2 Academy Awards and the Winsor McCay Lifetime Achievement Award. John Walker (John Charles Walker) completed the Canadian Film Center (CFC) National Film Board of Canada (NFB) Documentary Program in 2009. Long before he entered the CFC NFB program, Walker co-founded the Canadian Independent Film Caucus (now the Documentary Organization of Canada)—a lobby group for point-of-view documentaries. Walker is best known for Strand: Under the Dark Cloth (1989), Leningradskaya: A Village in Southern Russia and Leningrad (1990) and Hidden Children (1994). Strand: Under the Dark Cloth won a Genie Award for best feature documentary, and John Walker won a GEMINI Award for Best Director for Leningradskaya. Nicole Paradis Grindle graduated from the University of Pennsylvania in Philadelphia and she holds a Master of Arts (MA) in Documentary Film from Stanford University. Grindle is best known for her work on The Incredibles (2004), Ratatouille (2007), Toy Story 3 (2010), and Monster’s University (2013). Grindle was nominated for Best Animated Short Film in 2016 for Sanjay’s Super Team (2015). Wes Anderson graduated from the University of Texas at Austin with a BA in Philosophy. He also studied film and co-write a script called Bottle Rocket (1996) with fellow classmate, and later roommate, actor Owen Wilson. Anderson has been nominated for Academy Awards for The Royal Tenenbaums (2001), Fantastic Mr. Fox (2009), Moonrise Kingdom (2012), and The Grand Budapest Hotel (2014). Scott Rudin graduated from Baldwin High School in Long Island, New York in 1975. After graduating from high school, Rudin was offered a scholarship to attend Brown University. He declined and instead began working as a casting agent. Within a few years, Rudin launched his own casting company. Rudin has won 15 Tony Awards, and in 2012, he became one of just 14 people who have won an Emmy, Grammy, Oscar, and Tony Award, and the first producer to do so. For his work on Captain Phillips (2013), he was nominated for yet another Oscar in 2014 for Best Picture and again in 2018 for Lady Bird (2017), also for Best Picture. Rudin is also known for The Hours (2002), No Country for Old Men (2007), The Social Network (2010), and The Girl with the Dragon Tattoo (2011). Steven Rales graduated from Walt Whitman High School, in Bethesda, Maryland in 1969. In 1973, he graduated from DePauw University in Greencastle, Indiana with a Bachelor of Arts & Science (BAS). In 1978, he was awarded a Juris Doctor (JD) from the American University. Listed as the 118th richest man in the world, Rales is known for his work on The Darjeeling Limited (2007), Fantastic Mr. Fox (2009), Moonrise Kingdom (2012), and The Grand Budapest Hotel (2014), to name a few. Jeremy Dawson graduated from the School of Visual Arts (SVA) in New York, New York in 1993 with a Master of Fine Arts (MFA) in Photography, Video and Related Media. Dawson is known for his work on Fantastic Mr. Fox (2009), Moonrise Kingdom (2012) and The Grand Budapest Hotel (2014). Note: Isle of Dogs was also nominated for Best Original Score. Mamoru Hosoda graduated from Kanazawa College of Art in Kanazawa, Japan. Formerly employed at Toei Animation, Hosoda went on to work at Madhouse from 2005 to 2011. He left Madhouse in 2011 to establish his own animation studio, Studio Chizu. Hosoda first came to public attention in the early 2000s with the first two films in the Digimon Adventure series and the sixth film in the One Piece series. Hosoda is also known for the 2006 film The Girl Who Leapt Through Time, 2009's Summer Wars, and 2012's Wolf Children. Yuichiro Saito is from Moriya city, Ibaraki prefecture, Japan. He studied in the U.S., but it is unknown where he studied. After studying in the U.S., Saito joined Japanese animation studio Madhouse, Inc. where he studied and worked under Masao Maruyama—founder of the company. Saito has worked on three Hosoda films—The Girl Who Leapt Through Time, Summer Wars, and Wolf Children. Rich Moore studied film and video at California Institute of the Arts (CalArts), graduating with a BFA degree in 1987. Moore is known for his work on the television series Futurama (1999-2003), The Simpsons Movie (2007), Wreck-It Ralph (2012), Big Hero 6 (2014), and Zootopia (2016). Wreck-It Ralph won five Annie Awards, including Best Animated Feature, and a Best Director award for Moore, and the film was nominated for the Academy Award for Best Animated Feature in 2013. Phil Johnston enrolled in the MFA Film program at Columbia University, New York City, after working for nine years as a regional TV news and Weatherman in Omaha, Nebraska. His MFA Thesis—a 22-minute Film called Flightless Birds—caught the attention of Eryn Brown at Los Angeles-based Industry Entertainment. The rest is history. Johnston is known for his work on Lost in Space (1998), Children of Men (2006), and Captain America: The First Avenger (2011). Clark Spencer graduated from Harvard University in 1985 with a degree in history. He went on to graduate from Harvard Business School in 1990, after which, he was hired as a senior business planner at Walt Disney Studios. Spencer worked his way up the Disney ladder, and was involved in the purchase of Miramax Films. Clark Spencer is known for his work on Lilo & Stitch (2002), Meet the Robinsons (2007), Bolt (2008), Tangled (2010) Winnie the Pooh (2011), Wreck-It Ralph (2012), and Zootopia (2016). Bob Persichetti graduated from California Institute of the Arts (CalArts) in 1996 with a BFA in Film & Video. Persichetti is known for his work on The Curse of the Were-Rabbit (2005), Puss in Boots (2011), The Little Prince (2015), and Spider-Man: Into the Spider-Verse (2018). Peter Ramsey graduated from Palisades High School in Los Angeles before attending UCLA where he studied painting for two years. He later enrolled in film classes at Los Angeles City College. In addition to serving as story artists on several DreamWorks Films, Ramsey is known for his work on Godzilla (1998), Monsters vs. Aliens: Mutant Pumpkins from Outer Space (2009), and Rise of the Guardians (2012). Rodney Rothman graduated from Middlebury College in Vermont. He is known for his work on Forgetting Sarah Marshall (2008), 22 Jump Street (2014), and Popstar: Never Stop Never Stopping (2016). Rothman is also former head writer for the Late Show with David Letterman. Phil Lord attended Dartmouth College in Hanover, New Hampshire, where he bounced between majors such as Art History and Computer Science. Lord also took animation courses, graduating from the school in 1997. The director is known for his work (alongside best friend and Director Christopher Miller) on Clone High (2002), Cloudy with a Chance of Meatballs (2009), 21 Jump Street (2012), and The Lego Movie (2014). Alison Snowden graduated from Britain’s National Film & Television School in 1984. Alison’s short animated student film, Second Class Mail (1984) won a number of international awards including best first film at Annecy and an Oscar nomination. The writer and actress is also known for George and Rosemary (1987) and Bob's Birthday (1994), which won the Oscar for Best Animated Short Film in 1995. David Fine also graduated from Britain’s National Film & Television School in 1984. He is also known for George and Rosemary (1987) and Bob's Birthday (1994), and he is married to Alison Snowden. Domee Shi studied Animation at Sheridan College in Ontario, Canada, where she earned an internship at Pixar. This led to work as a storyboard artist. The Pixar Storyboard Artist, and now Director of Bao, is also known for her work on Inside Out (2015) and the Upcoming Toy Story 4 (2019). According to IMDb, Domee Shi is the first woman to direct a Pixar Short Film (Bao). Becky Neiman-Cobb graduated from the University of California San Diego (UC San Diego) where she earned a BA in Sociology. Nieman-Cobb also took classes in music and photography, before landing an internship at Billboard Magazine. After working in the music industry for several years, she was hired at Pixar. Nieman-Cobb is best known for her work on Ratatouille (2007), WALL·E (2008), UP (2009), and Inside Out (2015). Louise Bagnall she studied animation at the Institute of Art, Design + Technology (IADT) in Dublin, Ireland. Bagnall currently works as a Creative Director at Cartoon Saloon in Kilkenny, Ireland, and she is known for her work on the Irish television series Puffin Rock (2015- ), Late Afternoon (2017), The Breadwinner (2017), and Song of the Sea (2014). Nuria González Blanco studied Animation at Edinburgh College of Art in Scotland. Blanco currently works as a producer at Cartoon Saloon and she is known for her work on Puffin Rock (2015-2016), Violet (2015), and The Breadwinner (2017). Andrew Chesworth graduated from Minneapolis College of Art and Design (MCAD) in 2007, with a BFA in Animation. Chesworth is known for his work on Frozen (2013), Get a Horse! (2013), Wreck-It Ralph (2012), Big Hero 6 (2014), Feast (2014), Moana (2016), and Zootopia (2016). Bobby Pontillas studied at the Art Institute of Seattle, where he was enrolled in the Animation Art & Design program, but technically, he says his major was Computer Animation. He graduated in the winter of 2000. Pontillas is known for his work on Rio (2011), Ice Age: Continental Drift (2012), Frozen (2013), Wreck-It Ralph (2012), Big Hero 6 (2014), Feast (2014), Moana (2016), and Zootopia (2016). Trevor Jimenez studied at Sheridan College in Ontario, Canada, where he earned a Bachelor of Applied Arts (BAA) in Animation in 2007. Jimenez is known for his work on Rio (2011) and Finding Dory (2016). And for Weekends, the Pixar animator has already won at least 15 awards. 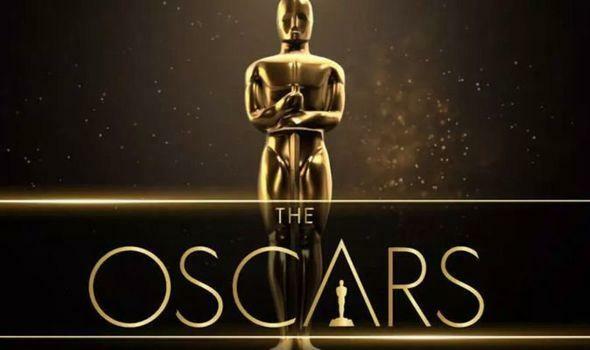 The 91st Academy Awards Show Airs Sunday, Feb 24, 2019 at 5:00 PM PST (7:00 PM CST) at Dolby Theatre in Los Angeles, California.